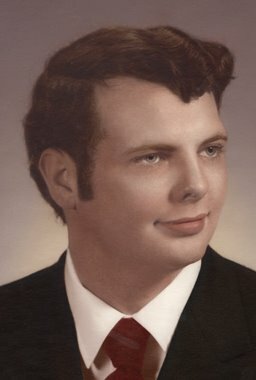 Arthur A. Henretty, 67, of Old Fort, OH passed away on November 21, 2018 at the Ohio Veterans Home in Sandusky, OH. He was born on October 23, 1951 in Fremont, OH to Ralph E. and Rose C. (Randle) Henretty. He was a graduate of Old Fort High School. Art served in the US Air Force from 1971-79 during the Vietnam Era. He was a Heavy Equipment Mechanic for many years retiring from Toledo Mack. He enjoyed spending time on his computer, fishing and making things. He loved to spend time with his family and was an amateur photographer. Art is survived by his children, Nichole (David) Becker, Windham, ME and Scott P. Henretty of Florida; grandchildren, Alexander, Damon and Samuel Becker; nephews, Mark (Laura) Withrow and Dave Withrow both of Fremont. He is preceded in death by his parents and sister, Anne Withrow. Art will be buried privately at Pleasant Union Cemetery in Old Fort, OH. In lieu of flowers, donations can be made to the Old Fort Church. Nikki & Family, I am so sorry for your loss. Your Dad was clearly a wonderful man and so beloved…I’m sorry I never got to meet him. You all are in our prayers!